with Buffalo Wing Sauce (6 or 12). 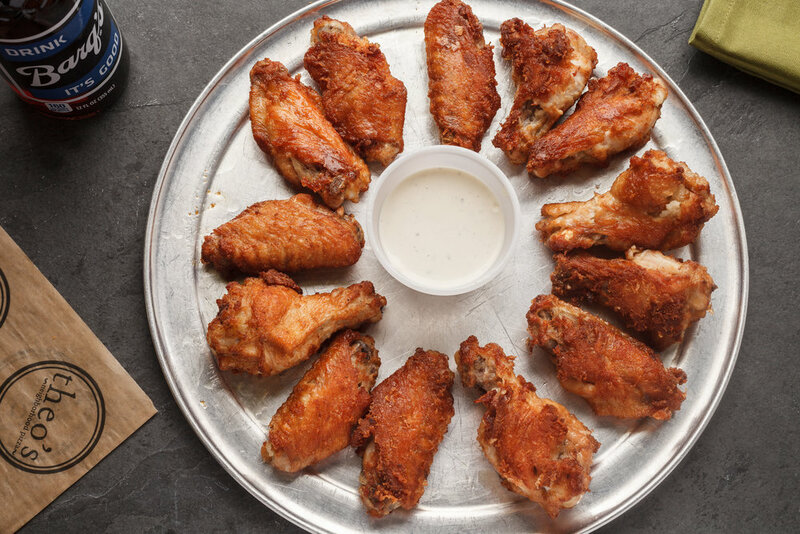 All wings are oven baked for about 20 minutes. lettuce, onions, green peppers, mushrooms, black olives & mozzarella. Served with Theo's Creamy Italian dressing.